Explore the numerous day-trip ideas around Koli National Park: New Valamo Monastery (in Heinavesi), Joensuu (Carelicum, Sculpture Susi Kosiomatkalla, & more) and Kuopio (St. Nikolaos Cathedral, Kuopio Art Museum, & more). Spend the 30th (Thu) exploring nature at Patvinsuon Kansallispuisto. Spend the 1st (Sat) exploring nature at Hiidenportti National Park. For photos, reviews, and other tourist information, you can read our Koli National Park tour itinerary planning site . 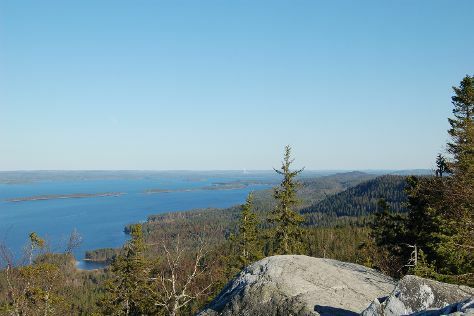 In May, daytime highs in Koli National Park are 16°C, while nighttime lows are 4°C. Finish up your sightseeing early on the 6th (Thu) so you can travel back home.